At the start of every new year, 300 brave O level survivors will enter the realm of the Raffles world, facing excitement, apprehensiveness and awkwardness in equal measure. All around them, they will see green, black and white, and unfamiliar faces huddled together in groups, chattering away animatedly. This is how JC life typically begins for a JAE (Joint Admission Exercise) student. Life in RI will definitely be very different from how it was in a non-Rafflesian secondary school – intimidating even – but most JAE students find themselves blending in perfectly well by mid-year. With a few tips to guide you and the clearing up of some misconceptions, we hope to ease and quicken a JAE student’s adjustment into the Rafflesian family. 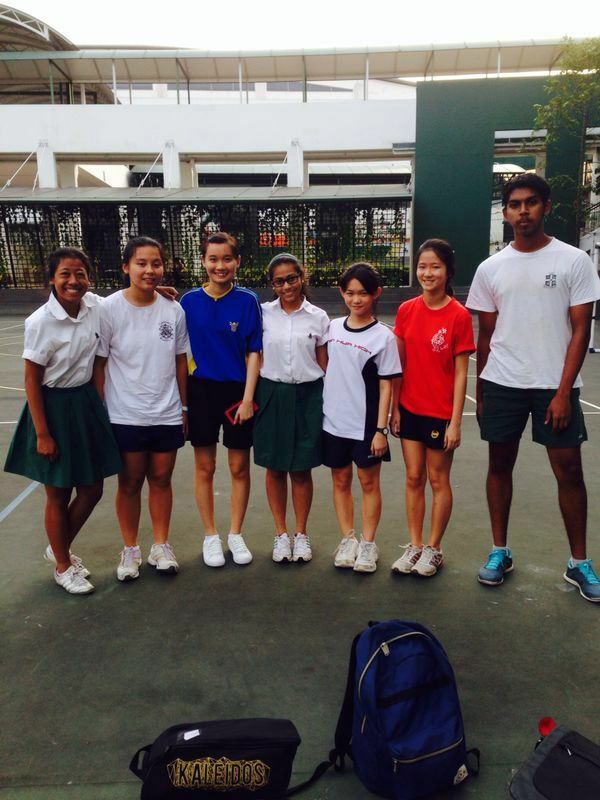 RP (Raffles Programme) students are snobbish. False! This is one of the more common rumours a JAE student would hear about RI, but in actual fact, most RP students are friendly and accepting – it would be unfair to generalise all RP students as snobbish. With that said, every JC has its fair share of arrogant kids and of course, RI is no exception. Even if you do face such negativity, learn to take it in your stride. There can’t always be nice people out there in the world, and there’s no harm in learning how to deal with it earlier in life. RI is a very competitive place. Competition is an inevitable feature of any education system, but in RI, (due to the nature of the student body here) competition will be more intense. Then again, it’s all part and parcel of the RI experience. However, we would like to stress that it’s healthy competition, and not just pure cut-throat competition. Most students are more than willing to rally around to help their fellow schoolmates, so you don’t have much to worry about. RP students are higher achievers than JAE students. A person’s academic capability is absolutely not linked to whether they are from JAE or RP. In fact, there are many JAE students whom the writers have witnessed outperforming their RP peers (though this is sadly not true of the writers themselves, who happen to be JAE). Ironically enough, since JAE students have just been mugging their hearts out for O levels while RP students have been taking their lives relatively easier, JAE students are expected to get into the swing of JC academics faster. Many claim that they’re supposedly more well-prepared to sit for a major nationwide exam than their RP peers, whose last such experience was, well, PSLE. Here we discuss some of the issues you’re likely to deal with in your first few months in a new (and sometimes terrifying) school environment. Being in an unfamiliar environment with millions of questions flying through your mind can be unsettling, especially if you’re one of the select few who entered RI alone without your fellow secondary school peers. Most JAE students agree that Orientation is the best time to get to know people, so treasure that opportunity and make full use of it. Even though Orientation is now over, take the time to hang out with your OG before the bulk of your workload catches up with you. Remember that most RP kids are as eager to make friends as you are. While they may already have a bunch of close friends, practically everyone’s more than willing to get to know more people. However, friendship is a two-way effort! Don’t expect to make many friends if you don’t bother to start a conversation or say hello to the people around you. It can be as simple as grabbing any other student and making small talk (What CCA are you in/are planning to join? Do you like the school uniform?). Just take a deep breath and plunge into it. Once you get over that initial fear, everything else will fall into place. Your friendly JAE heroes are here to help you get used to your new school environment! Since JAE students enter the school later than RP students, decisions have to be made fast. You might struggle to cope with it all at the start. Immediately after Orientation, the IHC seasons begin and then CCA applications/trials come along, followed by enrichment programme applications, and then student council and EXCO applications, after which you have a break in June that leads up to CT1s. And before you know it, half of JC1 is over. Sounds overwhelming, doesn’t it? When you do feel lost here, don’t fret! There are lots of people you can approach for help. Counsellors, your OGLs, CCA seniors, or even your friends can help you out. Most of them are very willing to share their opinion on how things are run in RI. There are plenty of helpful seniors and students who would be happy to answer queries. If you have friends in RI/RGS, say your classmates, who would’ve entered the school earlier for JIP, do talk to them and ask them about the information they have received about various enrichment programs/introductory lectures/etc. It pays to do your research early, rather than walking into school on the first day completely unaware of what’s going on. One of the best things about RI is the wide variety of enrichment programmes and CCAs available. There are about 70 CCAs and 17 enrichment programmes, each as impressive as the others – you’ll be spoilt for choice! If you choose the ones you’re truly passionate about, you’ll probably be able to keep yourself well-occupied throughout your two years, and will be presented with many unique opportunities. You might have the chance to participate in overseas CIP trips, bicultural programmes, national competitions, or even research programmes. Despite so, here’s where the tough part about being a JAE student comes in. As would anyone looking to choose the right CCA and enrichment programme, you will have to do plenty of research. Issue is, this is trickier if you’re a JAE student with fewer seniors and friends to consult, especially at the start of the year when you’re faced with many important decisions to make. If you have any doubts, don’t hesitate to check with your peers or seniors. While you may have been the top of your cohort in secondary school, it might not be the same here. As long as you pay attention during your lectures and tutorials, do your work on time and actively consult your teachers, you should be able to manage (take heart in the fact that countless students before you have managed it). However, to do better than the average student, arranging to meet up with your teachers and doing extra practices will help. A lot. We have some of the best teachers right here in RI, and your teachers are more than willing to help clarify any doubts! Every JAE student is a cross between a non-Rafflesian family and a Rafflesian one, so a JAE student will turn out as a unique hybrid who’s able to adapt to the changing environment. As a newly minted Rafflesian, don’t be too intimidated by all the rumours you hear! By the end of your two years here, you might realise that coming to RI might’ve been the best decision of your life.